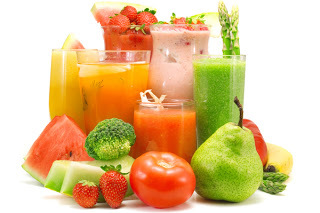 In this post we take a look at detox diets. Everyone who talks to me about detox is motivated and sincere about making an improvement in his or her health. Therefore, it’s important that they be shown respect and encouraged. However, some of these same individuals exhibit a level of desperation that is counterproductive and leaves them subject to fads and scams that are doomed to long-term failure. The first question I ask is “Are you trying to improve your health or weight?” These are often separate considerations. Of course, I’m hoping they answer, “Both.” Interestingly, that happens less often than you might think. Next, I’ll ask if they’re engaged in some basic, fundamental activity (click here), which is rarely the case. Once people discover the latest, greatest thing, they tend to lock in on it and just have to go for it. So be it. So… today and tomorrow, I’m going to discuss two very common “quick-fix” approaches to detoxification. Let’s start with the “detox diet.” For the purposes of this discussion, all detox diets are variations of the same theme. I hope this doesn’t disappoint you or come off as dismissive, but the point of the matter is that from a medical standpoint, these actions are reducible to a set of physiologic actions that either produce biological effects or don’t. Giving a car a new coat of paint doesn’t make it an airplane. Similarly, taking a quick detox diet doesn’t make you healthy if you return to the same conditions that produced your pathology in the first place. Folks, it really should occur to you that given the rates of obesity and disease that exist, if these diets really worked, the pharmaceutical and medical communities would be all over them because of their potential for profit (and of course the potential for good…). Here’s what detox diets do and don’t accomplish. Going on a diet for a few weeks can clear your body of toxins, which will improve your health. Have you ever heard that correlation is not causation? If you engage in any activity involving backing away from fats, drinking more water, taking in less sugar and processed food, eliminating alcohol and caffeine, and taking in more fruits and vegetables, you’ll feel better! In fact, I’m all for it. Refer to this blog post where I give you details on how to naturally, healthily and sustainably do this. Now, here’s the question. Is your detox diet just a two to four-week “challenge,” or is it the launching pad for a set of lifestyle changes? The problem is that people use these diets with their better principles, but they usually don’t sustain them. In fact, the diets themselves generally are not sustainable because they’re too restrictive. If you tried sustaining some of these diets, you’d end up hospitalized. You’re much better off applying fundamental principles that will slowly and steadily improve your health and also help you lose weight. By the way, those long-term claims have been roundly and routinely debunked by the medical community, which has every incentive to want to discover new ways to treat disease. Before starting any diet, you need to discuss what you’re trying to accomplish with your physician. I’d venture a bet that most would not approve one of these diets, especially if you suffer from any chronic illness, especially diabetes, mental illness, moderate to severe (and poorly controlled) high blood pressure or cardiac disease. They also won’t approve it if you’re pregnant or at the extremes of age. Based on the components of these diets, you are introducing certain specific risks. These include vomiting, diarrhea and dehydration, electrolyte loss and imbalance and disruption of the function of your digestive system. Let’s finish with two pointed questions and answers. Should I go on a detox diet? I encourage almost any activity that motivates you to improve your health and has been shown to improve your health. If you want to naturally detox, apply these principals as the basis for a lifestyle change. As your body recovers, your natural detoxification system will take over and do just fine (assuming you are otherwise healthy). I quick-flush my system with a diet every few months. Is this healthy? It depends on what you’re doing as a “quick-flush” and even more so, what you’re doing in-between. 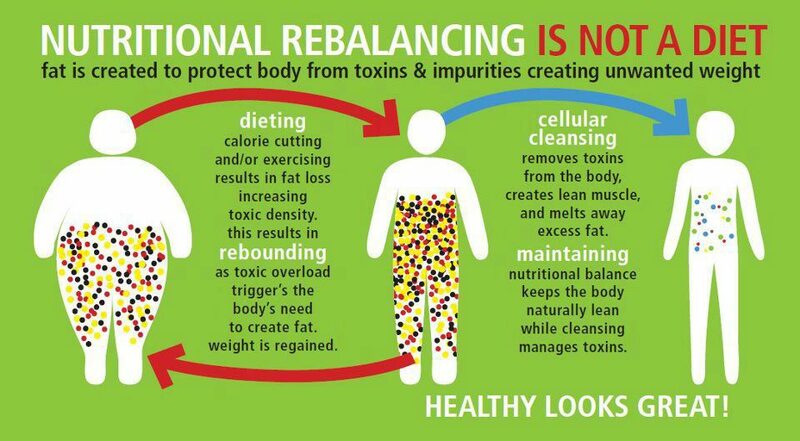 Focus on enhancing your natural detoxification system. I can’t say that a one-time or intermittent initiative to kick things off would be a terrible thing — if you stay with the program. In the best case scenario, it’s like going to get a dental cleaning every six months. You’ll still have decaying teeth and disease if that’s the only thing you’re doing. On the other hand, if you’re brushing and flossing every day, then the six-month check up is quick (and in this case, maybe superfluous). I’m much more concerned with you sustaining a healthy approach toward the desired goal. Next up, and the last in this series on detoxification will be a look at colonics. Until then, bottoms up!